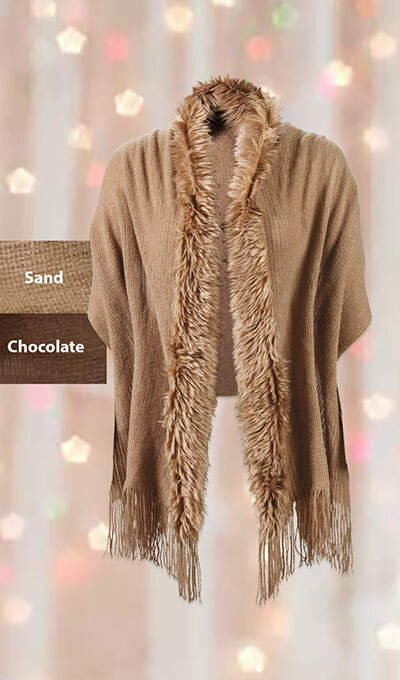 Wrap yourself in glamour and warmth with this faux fur trimmed shawl. Perfect for fireside comfort or a night out on the town. Acrylic/polyester. Imported. Machine wash. One size fits most. 20"w, 80"l.